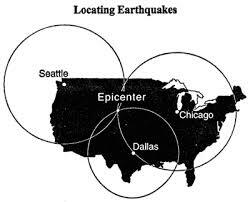 General objective of this article is to Analysis on Monitoring Earthquakes. Seismograph stations worldwide can record the seismic waves on the same earthquake. The place, depth, and strength of the earthquake can easily be calculated on the seismograph data. When the data are compared from stop to station, they can also reveal clues about the type of the rocks whereby the waves passed.